Desert Prince - top-class miler, gets high-class 2yos, mostly at 7f+, progeny progress well. Delux Cat (TUR) (f. by Mountain Cat (USA)): 5 wins at 2 to 4, 2013 in Turkey and £103,513 and placed 5 times inc. 2nd Nenehatun S., L.
Teem (IRE): winner at 4 in Germany and placed 4 times; broodmare. Music Rainbow (IRE): winner at 2 in Greece. 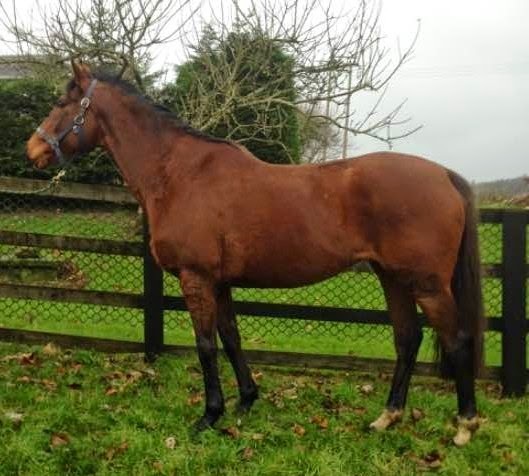 She also has a 2-y-o colt by Eagle Eyed (USA) and a filly foal by Okawango (USA). Tuning Fork (GB): winner at 3 and £52,981 and placed 10 times inc. 2nd Tote Dante S., Gr.2. SHORT DANCE (USA): 3 wins at 2 and 3 and £47,174 inc. Stanjamesuk.com Radley S., L. and Michael Seely Memorial Fillies' S., L., placed 4 times inc. 3rd Dubai Duty Free Fred Darling S., Gr.3. Yankadi (USA): winner at 2 and placed 3rd Somerville Tattersall S., Gr.3. Heart Stopping (USA): placed at 3; dam of LOLLY FOR DOLLY (IRE) (5 wins at 3 and 4 and £213,922 inc. Windsor Forest S., Gr.2, Oratorio EBF Athasi S., Gr.3, Gladness S., Gr.3 and EBF Park Express S., Gr.3). Overshadow (IRE): winner at 2 in France, 3rd Prix Roland de Chambure, L.
DIGAMIST (USA): 3 wins at 2 and £167,304 inc. Heinz 57 Phoenix S., Gr.1, placed twice inc. 4th Coventry S., Gr.3; sire. Moonshine Girl (USA): winner at 2 and placed 3 times inc. 3rd Queen Mary S., Gr.3; dam of Wildcat Moon (USA) (winner to 2012 in U.S.A., 2nd California Derby, L.).